Here is a collection of ideas for resolving common reasons why Windows 8 is not printing. 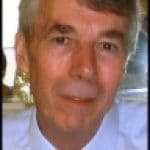 I start with simple glitches, and then delve into less common, but annoying computer printer problems. Hardware or Software Printer Problem? Windows 8 has a new feature whereby it will automatically install any printer that it detects it on the network. The problem with such automatic installation is that Windows 8 may not have the correct printer driver and, consequently the installer makes a wrong guess. The solution is to uninstall; and then to reinstall, but using a Windows 8 driver that you downloaded from the printer manufacturer's site. On large complex network, or a miss-configured home system, Windows 8 may not be able to find the network printer without your assistance. Has a cable disconnected? A 'dead' LED display would show a fault with the power lead, but are you sure the USB printer cable is securely attached at both ends? Is there paper in the tray you are printing from! For a quick check, try the manual paper feed. Print from a different application, or for troubleshooting try, 'Print Test Page', see screenshot to the right. Variation: there is plenty of paper, but a flashing light is telling you the printer is jammed. Narrow down the cause by printing from a different application. Alternatively, ask a friend to send a print job to the same printer, but from a different machine. Check the name of the default printer. If the default has locked on to the Microsoft Document Writer, then right-click and select your 'real' printer. As a quick fix you can select another software printer from the device's print option. Cannot find a network printer? On a home network check: 'Turn on network discovery'. Go to the Control Panel, Network and Print Sharing, Advanced settings then File and Printer Sharing; Turn On. It's surprising how often restarting the Spooler service cures a software malfunction. Alternatively, remember that a reboot cures 40% of all computer problems, you could be lucky and a simple restart will get you printing again. Control Panel -> Hardware and Sound -> Devices and Printers -> Advanced printer setup, now search for network printers manually. This is a new setting in Windows 8, see screenshot. Control Panel, Programs and Features. Select the last known working operating system for this driver. Finally, you could try the time-honoured method of 'Googling' for a Windows 8 version of your printer driver. Where possible download from the manufacturer's site, and thus avoid picking up all sorts of spammy toolbars and other junk from those sites that parasitize on peoples computer woes. P.S. remember to make the right choice between a 32 and 64-bit driver. This is how to recover a suppressed printer. In device manager your printer may be labelled 'unknown device'; if so right-click and 'Scan for new hardware' should do the trick. Plan B, delete the unknown printer in device manager. When you reboot plug and play should detect the printer. 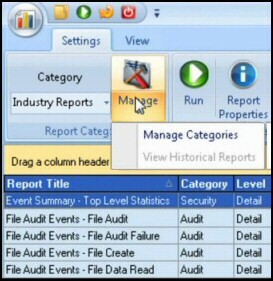 Collect more information from the Event Viewer; a good place to start is the Windows Logs, Application. Disable bi-direction printing (Particularly if it's HP). Previous version of Windows application, such as Word, offered an option to Print to file. Windows 8 has an improved port type called 'PortPrompt' that performs the function of printing to a file. PortPrompt is but one of the new capabilities of Microsoft's v4 printer drivers. The v4 printer driver class (framework) is a new concept in Windows 8. These v4 drivers are designed to work with both ARM and Metro-style apps, and are particulary good for sharing printers. The idea is for the operating system to implement more core or generic functions. One benefit is that Windows 8 could automatically replace the driver via Windows Update, other benefits include less disk space for drivers and element of future-proof. 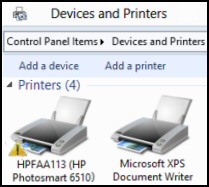 Another new concept with v4 drivers is the 'printer extension'; not only does it provide a new style UI for changing print preferences; but also it works with Windows 8 apps to generate printer notifications, for example, 'Out of paper'. Please send me your method for troubleshooting Windows printers. This page is a collection of my ideas for resolving common reasons why Windows 8 is not printing. Check all the external factors such as paper supply and leads, before you delve into the more uncommon facets of printer troubleshooting.